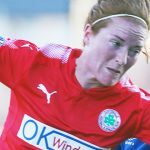 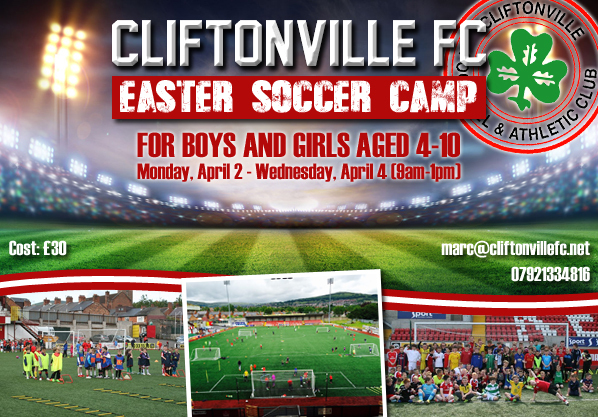 Places remain available at the Cliftonville Football Club Easter Camp, which is open to girls and boys of all abilities aged 4-10. 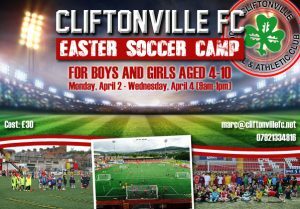 Hosted at Solitude between 9am-1pm from April 2-4 and costing just £30 per person, bookings can be made by emailing marc@cliftonvillefc.net or contacting 07921334816, with all interested parties encouraged to secure their place as soon as possible. 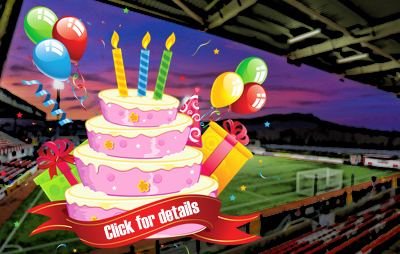 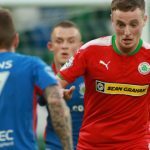 In addition to coaching from professional players and coaches, participants – who will have the chance to be recommended to the Cliftonville FC Advanced Youth Academy and Development Academy – can compete for spot prizes and enjoy visits from Red Arnie as well as Cliftonville players and coaching staff, who will provide regular feedback and advice as players enjoy small-sided games and specialised coaching. 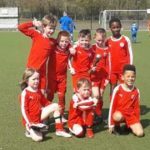 Interest is typically high and anyone keen to reserve their place is advised against leaving it too late and risking the disappointment of missing out.